There are great actors that can transform into almost any character they are given two that come to mind are Meryl Streep and Daniel Day Lewis, John Travolta is neither. For being avid movie watchers we are subjected to so many bad casting decisions and actors that almost ham it up for the camera or in this instance we are thought to believe a poor actors accent here, this is just awful stuff. We are put through scenes of torture that at one time in the film I did squirm but does that make good cinema?, no it is done so often in modern horror that this is tame in comparison. 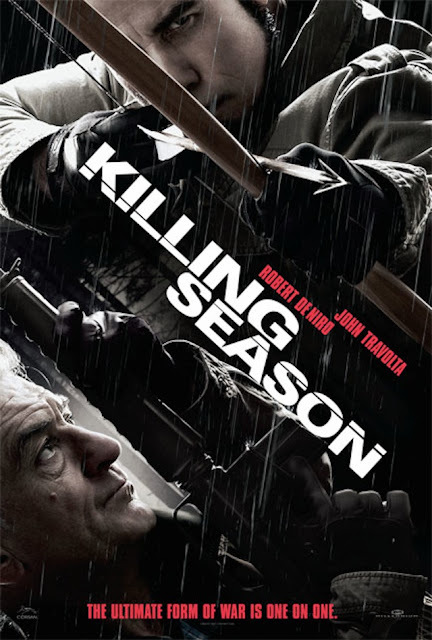 That being said this film is all about the hate one man can have for another and what that hate is capable of, "Killing Season" really has no rhyme or reason for it's existence other than a paycheck in both actors pockets. 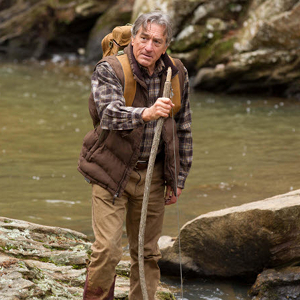 De Niro is totally out of place as a man living in the woods-he so does not belong here. 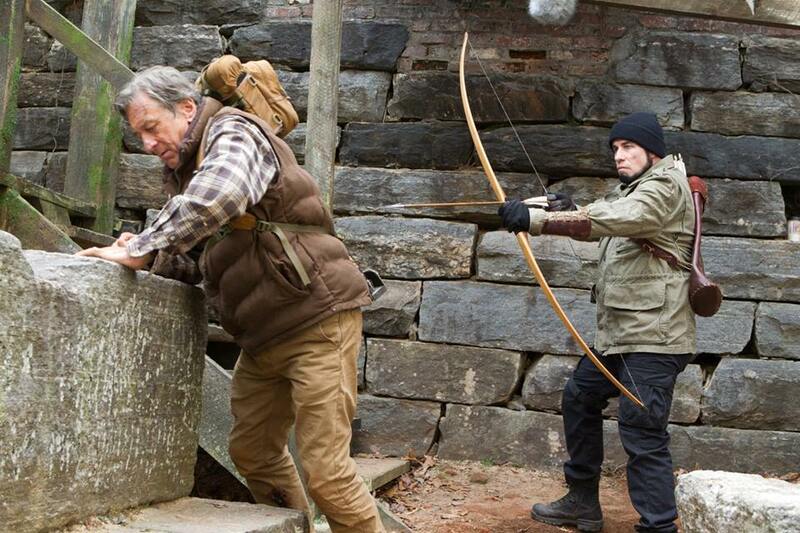 For films where two men battle it out in the woods there are so many better ones than this, a number come to mind. The Hunted with Tommy Lee Jones, The Edge with Anthony Hopkins, & best of them all is Stallone's First Blood.